Apparently James Cameron never used to be the kind of guy you wanted to pose a controversial question like marriage to, but thankfully in the last decade or more he’s calmed down, kind of. For a guy that’s been married five times in his life you would think that he would have learned at least by the third what he was doing, or that it really was him that was the problem at times. But whether it’s ego or just the high amount of energy he has James Cameron seems to be the kind of guy that doesn’t suffer such questions gladly, or at least he never used to. Nowadays he thinks before he talks and could at least give a good accounting of why four of his five marriages didn’t work. 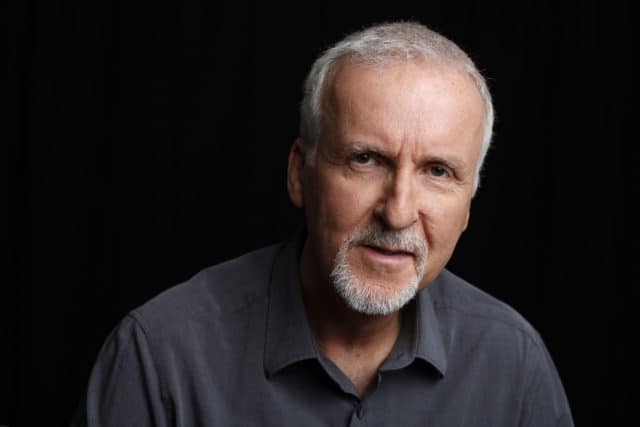 If you haven’t guessed it by now then perhaps you need to have a James Cameron marathon and view some of his more popular movies like Avatar, Terminator 2, Aliens, The Abyss, and Titanic. You should see a very big trend in the female leads that are featured within each movie, and then you should get why his first four marriages didn’t work. Just in case you ‘ain’t got time for that’ the link is that Cameron likes strong, independent women. It’s not just for the roles that he casts them in, he actually is attracted to strong women that can stand on their own two feet and not depend on a man to help them out in life. The rub there is that those women that are strong enough to stand on their own don’t often like being told what to do or being directed or micro-managed when they or he are away from the set. Linda Hamilton’s account of how they got together and then split up after T2 was that she’d screwed up and she knew it the day she moved in. Apparently he became the director the moment her first box hit the floor and tried to run everything, including her. James Cameron used to be, and still kind of is, notorious for ruling his sets with an iron fist. There are stories that on the set of Avatar if anyone’s phone rang he would take it and nail it to the wall, literally. He would shake with rage if anyone asked him what amounted to an inane question about his films. He would even go so far as to yell at people to get them to work if things weren’t going right. At one point the entire crew wore t-shirts that said “you can’t scare me, I work for James Cameron”. That seems to be the moment when you should realize that the working environment has become somewhat hostile, especially if people are trying to send you a message without saying anything. Throughout the years now James Cameron has calmed down, and with his marriages he’s come to the realization that the women he was attracted to were very strong-willed and independent. The woman he’s married to now is the same way, but she seems to need him at least, so there’s a healthy balance.